The Federal and Provincial Governments, with the City of Sault Ste. 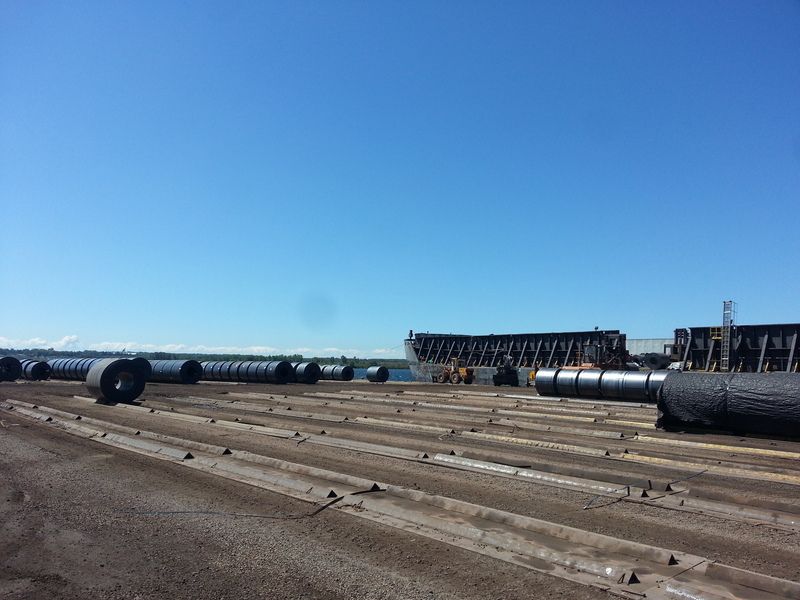 Marie and Essar collectively committed $5.34 million in funding for Phase 1 of the Port of Algoma redevelopment project. 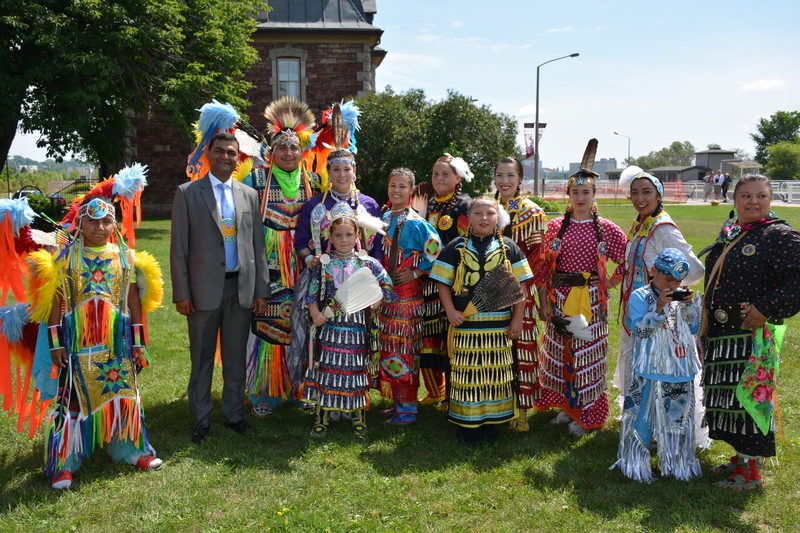 Funding from the Government of Canada came from FedNor, while the Provincial investment came from the Northern Ontario Heritage Fund Corporation. Phase 1 consists of planning and design and will include a traffic study and demand forecasting, infrastructure planning, environmental assessment and consultation with First Nations communities and other related activities to support the proposed redevelopment. November 4, 2015 marked the first shipment, unrelated to steel, for the Port of Algoma. 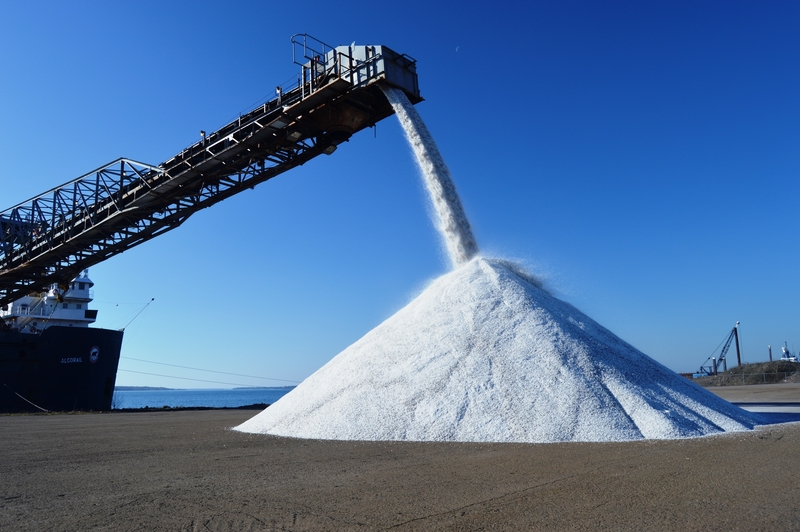 The shipment contained 13,500 tons of road salt from Compass Minerals, travelling from Goderich, Ontario. The road salt will be used this winter for highway maintenance and safety throughout the district. The Port of Algoma allowed for the salt to be shipped to Sault Ste. Marie via water at a cost of nearly four times cheaper than the use of transport trucks. 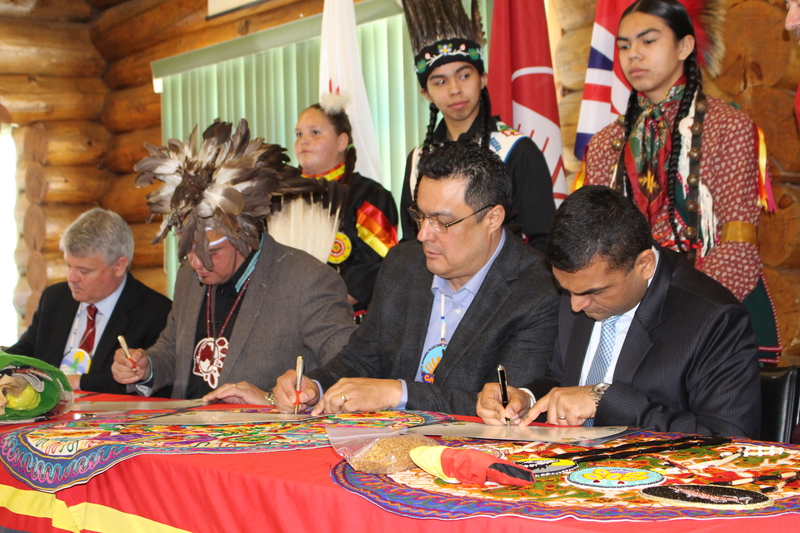 On April 16, 2016 a historic signing took place between the Port of Algoma and the Ojibways of the Garden River First Nation. The signing establishes a collaborative relationship on a pre-engagement process on proposed re-development on a state-of-the-art world-class facility. This will expand Sault Ste. Marie’s existing role as an international gateway, which envisions protecting the environment and maintaining a robust economy. Four area First Nations signed a Unity Pact on July 27, 2016 with the Port of Algoma. Batchewana First Nation, Garden River First Nation, Mississaugi First Nation and Thessalon First Nation were involved in the ceremony, which took place near the Sault Ste. Marie Canal National Historic Site. The Honourable Elizabeth Dowdeswell, Lieutenant Governor of Ontario, was one of many dignitaries in attendance. The ceremony took place where the Robinson-Huron Treaty was ratified in 1850. 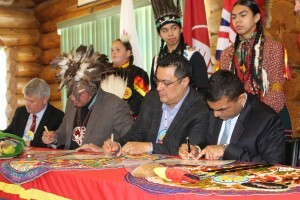 The pact speaks to the shared vision amongst area First Nations and the Port of Algoma. It highlights a common understanding of the need to protect nature while generating economic diversification to support a brighter future and quality of life.